Contact Eddy now for more information on his amazing magic. 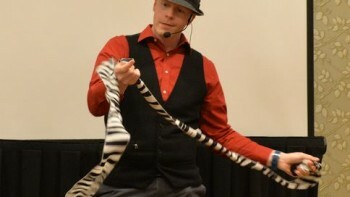 Are you searching for a highly entertaining, interactive, and memorable magic show for your event? 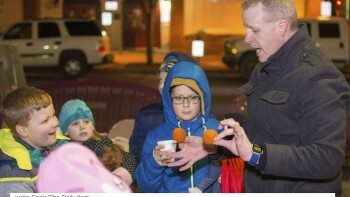 Well, you’ve found him – Pennsylvania’s Busiest Magician, Eddy Ray, has performed magic shows all over the world from Las Vegas, Nevada to the far east, Tokyo, Japan. His shows are not your stereotypical magic shows, there is no cheesy 70’s music, no tops hats or horrid looking costumes. Eddy Ray has a refreshing modern, versatile and cutting edge approach to his magical performances. He is able to customize and create exactly what you need to appropriately entertain your audience. His experience ranges from small parties to larger parties, he truly has done it all. Our radio station has included and showcased the many talents of entertainer Eddy Ray many times over the past few years and Mr. Ray always provides our expos, live broadcasts and special event audiences with high-quality entertainment and magic. Mr. Ray’s pleasant personality is an asset to our public undertakings and we always get very positive feedback when he is a part of any of our shows. I can honestly very highly recommend Mr. Ray! He will engage your guests or patrons. Hired Eddie Ray for my sisters 50th birthday party he did an hour of walk around card magic and he was great, we were all amazed! Highly recommended! !